This week’s travel theme is relaxing. 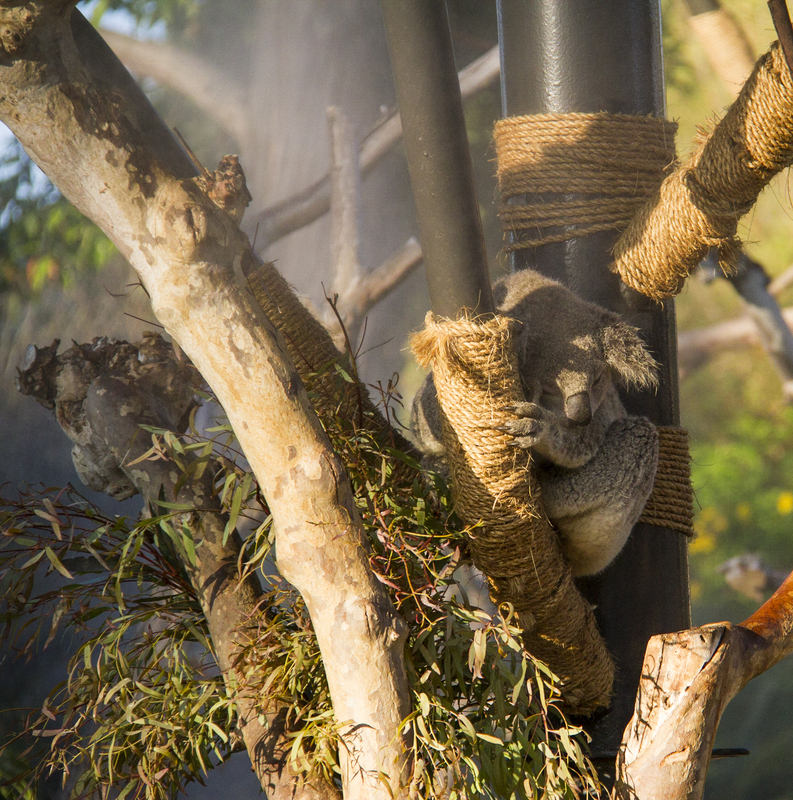 Here in Koalifornia at the San Diego Zoo this koala relaxes in its nest. These little guys (who are basically drunk all the time from fermented eucalyptus leaves in their digestive system) seem to be able to fall asleep in just about any position at the blink of an eye. See more relaxing images at Ailsa’s Where’s My Backpack. Good to see that these guys finally have a new home. Our membership ran out prior to the construction of the new Koala habitat, so I have yet to see it. Ah he is so sweet looking. Great photo!